Race missions coming to Zombies, Run! – Zombies, Run! Race missions coming to Zombies, Run! Zombies, Run! 5k Training is great for beginner runners, but a lot of more experienced runners have asked whether we’ll have any missions for them. The answer is: YES! The next update to Zombies, Run! on iOS will have six new ‘race missions’ in total, with three made available for free as part of the update, including one 5k race, one 10k race and one 20k race. Race missions work similarly to normal missions, but with an important difference: story clips will play depending on the distance you have travelled, rather than simply between songs. Don’t worry, those without GPS won’t be left out, because we’ve included a few options for calculating distance from accelerometer mode. 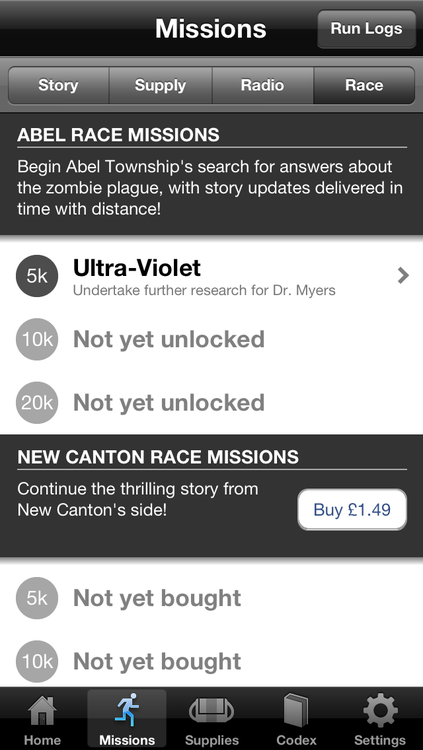 With these missions lasting a bit longer than normal (particularly the 10k and 20k races), you can expect a lot more story to be packed into each. The 20k races, in particular, have been described as “feature film length”. Can’t quite run that far? That’s cool – you can always pause and resume, just like any other mission. 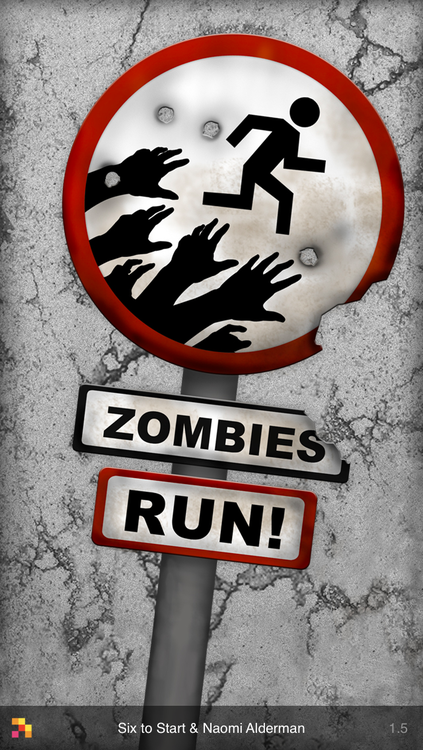 Race missions will be made available in an update to the iOS version of Zombies, Run! (version 1.5) in the near future. Version 1.5 will also contain the iOS6 music glitch fix as well as support for the iPhone 5’s higher resolution screen. We’ll let you know as soon as we have a concrete release date here on the blog. We are planning to add these features to the Android version in the future, as well as announce some new features which will be relevant to both platforms, so keep an eye out for that soon!